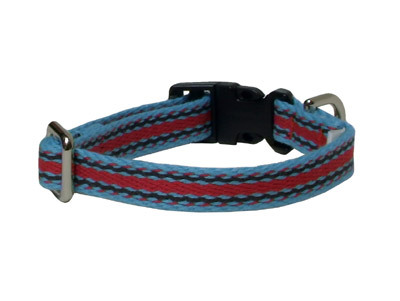 Sturdy 1/2″ cotton webbing collar with woven blue, red and charcoal stripes. Snaps closed with a durable plastic fastener. Companion lead repeats the design. Adjusts from 8″ to 12″.